David Cox, the son of a blacksmith, was born in Birmingham on 29 April 1783 and in his youth was apprenticed to become a miniature painter. Following his employer’s death, he moved on to become a scenery painter at Birmingham and Leicester theatres. In 1803 he moved to London to work on scenery at Astley’s Theatre. He earned extra money by teaching drawing and selling a few sketches. His teaching career slowly took off and by 1805 he had started to exhibit regularly at the Royal Academy. In the same year he started teaching sketching on activity holidays for wealthy students. These teaching trips, first to Wales then to various other parts of Great Britain, inspired him, helping him become a distinguished landscape painter, originating a school of landscape painting which was purely English. 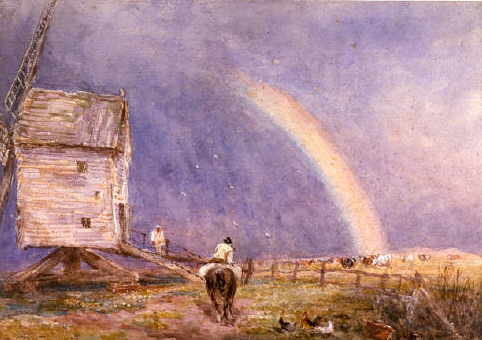 Cox wrote several books and in 1810 was elected President of the Associated Artists in Water Colour, the first of several artistic appointments. Cox moved to Hereford in 1815 to teach drawing at a ladies college and local grammar schools. He returned to London in 1827. 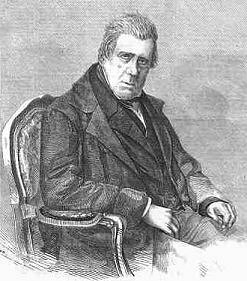 He retired to Harborne Heath (near Birmingham), in 1844 where he remained until he died (7 June 1859).